Although I’m a big pasta lover, over the weekend I realized I haven’t cooked pasta in like ages. I honestly can’t remember the last time I made pasta, any pasta. What’s up with that? And shame on me! Pasta is such a great dish, super easy and quick to make and it’s always guaranteed there’ll be no leftovers. At least in this household. Yeah, we like to eat and we love pasta. And eggs. Oh, and veggies and cheese too and some of us simply adore meat (we call him hubs and daddy). So I thought why not make some pasta and throw in some of our favorite ingredients too, like goat cheese, sun dried tomatoes, eggs and cream. And to make it even more appealing why not make a cake out of it, since we also love cakes too? I guess you could say we love food altogether! There, I said it, we’re gourmands! 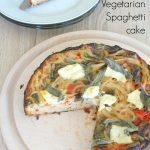 The only thing I missed in this vegetarian spaghetti cake is garlic and boy, this girl loves her garlic! But seriously, what’s that got to do with cheese, eggs and sun dried tomatoes? They are not the best match in this recipe so I added some chili instead, to spice thing up a bit. This vegetarian spaghetti recipe is so easy and fun to make, you’ll want to make this dish a regular on your table. It’s got a very special flavor thanks to the sun dried tomatoes, flavor enhanced by just a touch of fresh sage. 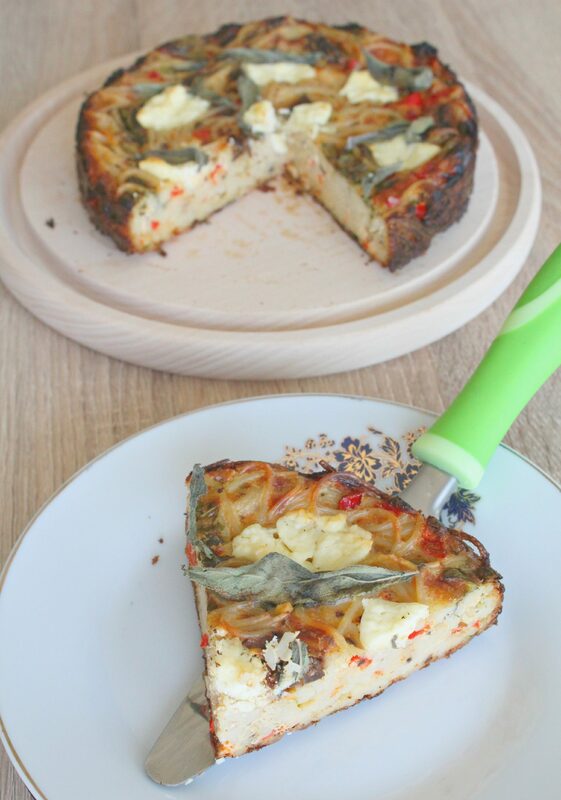 It really is a scrumptious, mouthwatering recipe that also looks pretty fancy and original. You can of course choose any kind of pasta and switch up the ingredients to match your taste. Just as a note, I’d recommend serving this pasta dish while still warm, it loses some of its flavor when chilled and reheated. So make a small batch if you’re not a large family. This vegetarian spaghetti recipe is so easy and fun to make, you'll want to make this dish a regular on your table. It's got a very special flavor thanks to the sun dried tomatoes, flavor enhanced by just a touch of fresh sage. 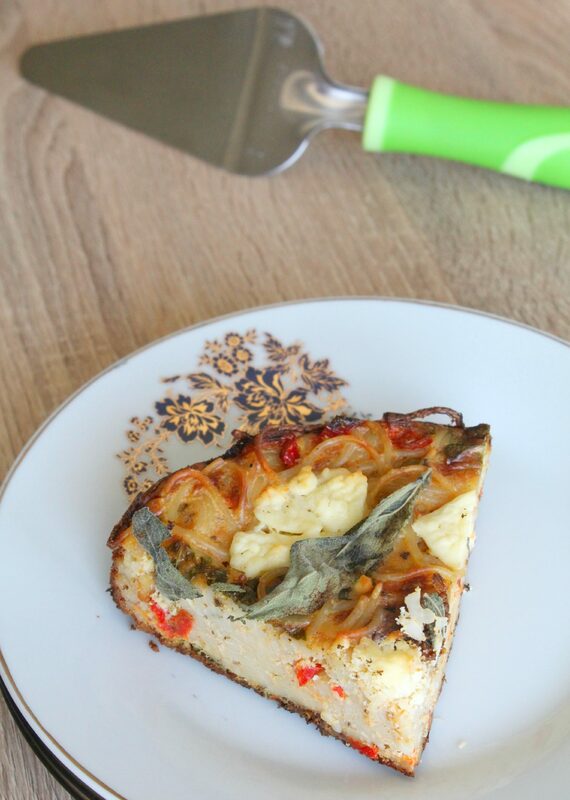 It really is a scrumptious, mouthwatering recipe that also looks pretty fancy and original. In a large bowl beat the double cream and eggs with a pinch of salt and pepper. 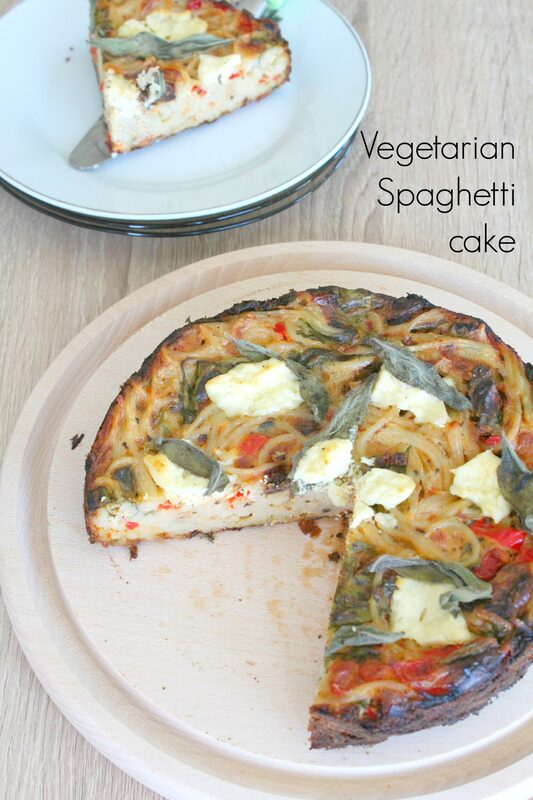 Add the grated Cheddar, most of the goat cheese, the spinach, chilli, sun-dried tomatoes and the cooked spaghetti. Gently stir to mix well. Slowly pour in the spaghetti mixture and shake the pan to even the mixture out. Remove and leave to rest for a few minutes.